Not too much to choose from here I’m afraid. With a very small population theres not going to be very many brewery’s falling over themselves to set up business here. What they have come up with though isn’t bad at all. 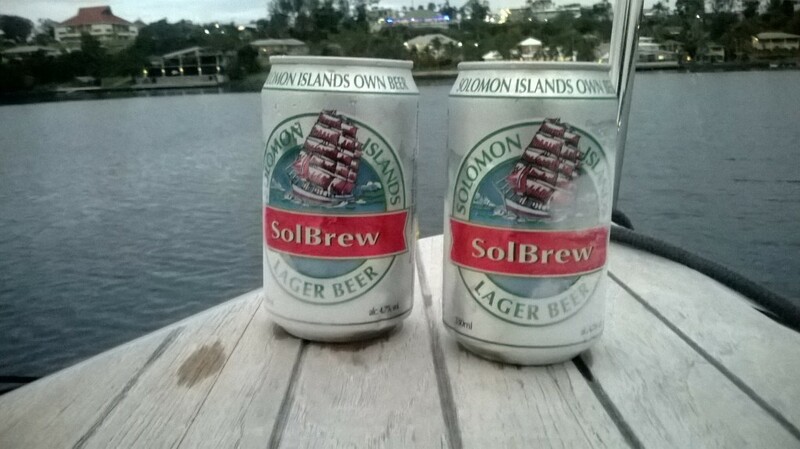 SolBrew (SB) is based in Honiara and celebrated its 20th year in 2013, its become very popular and is now exported throughout the south pacific. First saw it advertised a lot in Port Villa, Vanuatu. The two types you normally see are the gold tins (5.7%) and the silver tins (4.7%), so both quite strong beers. Have to say that the stronger beer definitely has more of a bite to it but you can’t have too many !! They are both pale type lagers, refreshing in the heat of the Solomons. Another average lager from the south pacific then.